Supermarket group Iceland has appointed food, drink and hospitality PR and marketing agency Elliotts for its consumer PR account, PRWeek has learned. Elliotts was appointed after a non-competitive pitch, and takes over from Beattie. Iceland said the appointment reflects its desire to focus on food for its comms strategy. It comes as the supermarket looks to extend its #PowerofFrozen campaign into consumer PR. Elliotts’ work will include handling Iceland’s first "Christmas In July" event for a number of years, plus a programme of media briefings. Marie Hughes, Iceland PR and product manager, said: "Iceland has always brought innovative food and new trends to our customers, but we have not often raised awareness of doing so. Part of the new strategy is to work with a PR partner that is passionate about food. "We want to be surrounded by people who live and breathe food, cooking and dining trends, know about provenance and nutrition and really get what customers want – now and in the future. Ann [Elliott, Elliotts CEO] and her team certainly demonstrate that." Elliott said: "This is an incredibly exciting win for our business. We cannot wait to get stuck in and support the Iceland team with driving home the compelling 'Power Of Frozen’ message." The account represents the first time Elliotts has secured a client in the supermarket or retail industries. Its current roster includes pub and bar groups such as Punch Taverns and Fuller’s, restaurant brands such as Bella Italia and Carluccio’s, and the likes of Krispy Kreme, Centre Parcs and Greggs. Recent wins for Elliotts include Café Rouge. Last November, the agency promoted James Hacon to managing director and made further appointments in its senior team. 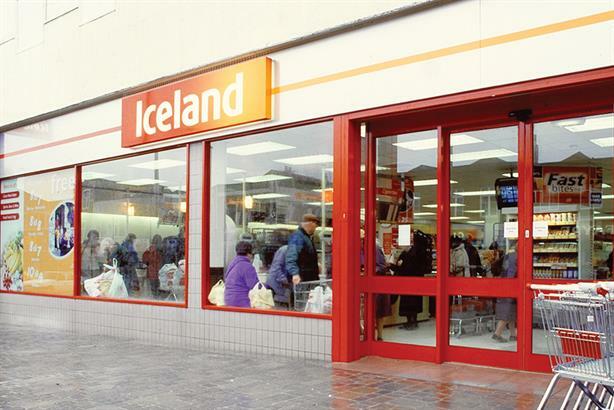 Iceland operates more than 850 stores across the UK and Ireland.